Michael Christopher Assistant Regional Rep for the Florida Region in the American Coaster Enthusiasts non-profit organization. Writes articles for the Florida ACE Blog. New for 2019 – Tigris at Busch Gardens! On the morning of September 12th, Busch Gardens announced a new coaster for the park opening in 2019. Tigris will be a Premier Rides Sky Rocket II coaster, similar to ones located at other Sea World Parks. Standing at a height of 150 feet, Busch Gardens has classified it as Florida’s tallest launching roller coaster. Sea World Orlando is home to a couple of very good roller coasters. They started out with Kraken, the first B&M Floorless coaster in Florida, then opened Manta, the only B&M Flying coaster in Florida. 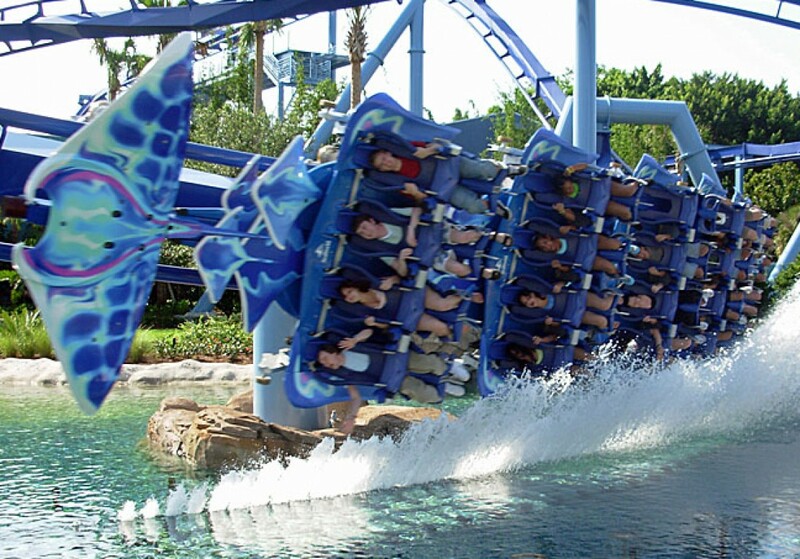 Now, recently opened to the public, Mako is the only B&M Hyper coaster in Florida. I personally was not there for opening day, but I was able to attend the Media Event on the day before and I had multiple opportunities to ride. I will admit, when the POV was released, I was not entirely impressed as I was comparing it to other B&M Hypers like Goliath (Six Flags Over Georgia), Dimondback (Kings Island), and Apollo’s Chariot (Busch Gardens Williamsburg). The ride seems short and condensed, it seemed like there were only a few good hills and it seemed too short in the videos. I think I can safely say that I was proven completely incorrect! Hello and thank you for showing interest and support for the new coaster Mako at Sea World in Orlando, FL. We’d like to provide just a few rules and instructions for our Photo Contest. This is a fun and interactive contest. Please submit your questions on our Facebook page or e-mail Michael Christopher directly at mchristopher@aceonline.org. On December 1st, the Orange County Commissioners unanimously approved the rezoning of 11.46 acres to allow the developers to continue moving forward in preparation of the construction of a massive entertainment tower on International Drive in Orlando. More than 50 people voiced their opinions in front of the Mayor and Commissioners, mostly praising and welcoming the new entertainment structure. “I think it’s a great vote of confidence in our region and in tourism and I think it bodes well for the future, ” stated Dr. Sean Snaith, an Economics Professor for UCF. Ah yes, IAAPA…The International Association of Amusement Parks and Attractions. Every year they take over the Orange County Convention Center in Orlando, Florida for the biggest attractions exposition ever. This year was no different; with over 9 miles of vendors and 31,000 attendees, there wasn’t anything “small” about it! This was my 4th year attending and I’ll touch base on a couple of announcements, both in and out of Florida.